In all likelihood, your home is your biggest asset. As such, selling such an asset is a decision that you have to think about properly. Spend some time looking into the process of selling properties first. There is a lot of information available online to help you learn these details. By investing that little bit of time to learn about the process, you will find yourself less overwhelmed by it and better able to control it and it will help you get the best price for your home. Let’s take a look at a few of the things you need to think about before you are ready to make a sale, which should help you get the best possible price. First things first and get to work on the outside of your property. It is the outside of your property that will create that all-important first impression to a potential buyer. Hence, the first thing you must do is tidy up your yard and prune your trees and bushes. Look at your property through the eyes of a stranger and see whether or not it has any curb appeal. Luckily, you will generally not have to do anything other than a bit of cleaning and tidying. Next, you need to look on the inside. Obviously, you have to make sure that the interior is clean and tidy as well. Do not try to make your house smell nice with scented candles or air fresheners. As much as you may enjoy the scents, other people may not feel the same. Additionally, it may make them think that you are hiding something. Get rid of as much clutter as you can. All those little nicknacks and all those pictures may seem important to you, but they are meaningless to others and prevent them from really seeing the home. You need to make sure your property looks as big as it possibly can do, which means you need to get rid of items as much as possible from your walls, shelves, floor and so on. There is one notable exception, and that is the mirror. Mirrors are good because they create the illusion of more space. Also, do make sure that there is something hanging on your walls somewhere, because your home will appear hollow without it. Take the time to try how things look and whether it makes your home look bigger and better and use common sense. Finally, do a lot of research before you set your price. You must understand that the maximum you will ever get, if you’re lucky, is the asking price. In an ideal world, the sale price and the asking price are almost the same. If your asking price is very high, you are unlikely to attract any buyers. At the same time, if you set a price that is too low, you will find suspicious buyers who expect that something is wrong with your home. Then, there is the fact that you will never be able to sell your home for more than the asking price, meaning that you hurt your own pocket by setting the price too low. Lots of folks have been investing in real estate today so in case you’re intending to sell your home, the perfect time is now. The only dilemma here is that it’s going to be tough to sell a house. Most of you have possibly seen articles saying that selling a house is easy or you have encountered adverts informing you that they will be able to sell your property in weeks. If you are planning to decrease the value of the house, it’s going to be a lot more desirable to the customers, but this is not a good thing to do. Even though the supply outstrips the demand in the real estate market, there are still tons of methods to sell your house. We will give some tips on how you could do this efficiently. First impression lasts so your home must be appealing enough to capture the interest of a buyer the first time they see it. 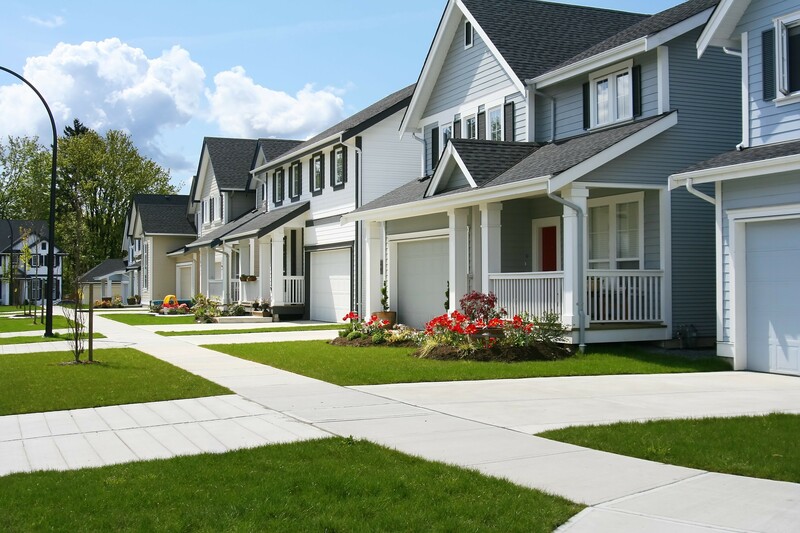 You should place yourself in the shoes of a customer and assess the curb appeal of your house. Head out into the streets and take a look at your house to find out all of its shortcomings. You should make certain that it’s desirable enough to leave a good impression to potential customers and verify everything that need maintenance. The prospective buyer would see the exterior of your house as soon as he goes out of his car and most of them always take notice on how the new house would look like in the outside. You should prepare and fix everything. Making upgrades in your house is a must if you want to attract the customers. You need to improve the interior and outside of the house so it would be visually appealing to the possible customers. If you really want to sell your house, you should check anything that needs fixing and make the necessary enhancements. Nonetheless, you must never over improve as there are improvements that won’t make a difference. Improvements will surely increase the price of your house along with its chances to be sold, but you can’t make improvements that will not pay in the end. You need to do your own research and only investment on the things that can provide the best return. If you say clutter, these are actually the things that you must get rid of from the house when you are selling it. You’ll have to remove your personal items, collectibles and art works because it’s going to not help you in selling the house. Get rid of everything that are not essential and just leave the furniture to make the rooms larger. The aim is to help the customers visualize what they need to do in your house when they bought it. They will begin visualizing the inside of your home once they are inside so get rid of all of the unnecessary and personal items in the house. It’s going to be difficult for them to do this if your personal items are still inside the house. If you’ll sell a home in [LOCATION], you must put up a competitive price for your property. If you’ll only put a low value, it’s going to be similar to leaving money on the table and if you put a high value, it’s going to be unattractive to the buyers. When it comes to home buying, the buyers are always searching for houses that are quite similar to yours and compare prices. If your house is a bit pricey, the buyer will check other houses and ignore you. These customers usually count on home financing so they can’t actually afford houses that are quite costly. If the price is low, you can sell the house quickly, but your investments won’t be given back to you. If you think that one could sell your home by yourself, you’re making a mistake. In case you’re not a professional real estate agent, do not even think about selling your house because you do not have the experience and knowledge to do so. If you’ll do this on your own, you won’t be able to sell your property or you can get a bad deal for it. You may get fortunate and find a good deal for your property, but selling a property is not about luck because we are talking about a huge amount of money. You must employ an agent and allow them to deal with everything for you. You’ll have to pay them, but it’s better than getting a bad deal for your house. Before you opt to sell your property, you need to look at all of these simple ideas so you will not make a mistake. The real estate market is very complicated so you need to know everything and anything about this prior to selling your house. If you’re planning on investing in real estate, you’ll want to make sure to take time to learn all that you can and have time to give to the business side of it on an ongoing basis. You might have to curtail your time spent on other activities in order to make more money over the long haul. Let go of some of your recreational time and invest it in your property. Before you begin your investment program, decide on exactly the type of real estate you want to work with. You might decide that you like flipping real estate quickly without too much work. Or, maybe you prefer rehab projects. Different work is required for each, and you can then hone your skills. Learn all you can about the market before investing a dime in real estate. This is important, as you will learn many different tips and strategies associated with the business. Purchase some DVDs or read a couple of real estate books in order to get settled into the business. Listen during a negotiation instead of talking. Sometimes a person will negotiate against himself if you just let him keep on talking. As well, by listening, you’ll be more apt to catch the exact right positioning that you need to get the price that you want. Read blogs about real estate to learn the tricks of this trade. This will help you learn useful strategies. There is a chance you may be able to speak to them personally also. Location is essential when investing in the real estate market. Property condition and other factors are usually subject to change. However, a property in a bad area may not sell. You want to investigate property values thoroughly in those regions that intrigue you. Don’t do any digging around a property you haven’t closed on. It can actually be illegal to dig, and you definitely don’t want to cause any damages. Become aware of local regulations and laws for any locale that you’re planning on investing in. Laws and regulations vary from one town to the next, so it is important to be certain you understand local ordinances. Before making a deposit, be sure you know all the rules and regulations regarding the transaction. The most important investment you will make in your home in order to sell it is time. You need the time to make a few fixes to your property, but also to learn about the tips and tricks of real estate. 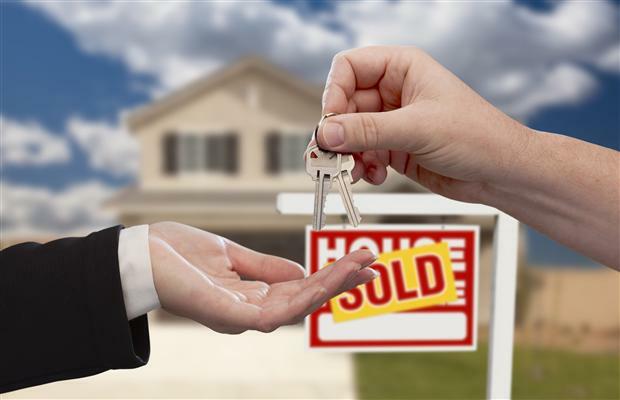 Generally speaking, those who know a lot about real estate also manage to sell their homes for the highest price. Some of the hints and tips collected by real estate professionals to help sell a home for top dollar are outlined below. First and foremost, ask yourself why you are selling your property. You need to know your motivation, as it will also help you to determine what your available resources (effort, money and time) are. Those who want a quick sale will act differently from those who want a huge profit. You have to get to know your home’s pros and cons. Try to draw attention to all the good things and address the bad before someone comes to view your property. Do make sure that you get someone to help you find out about all the good and bad points. It can be really hard to see the disadvantages when it is something you personally care about. In reality, your emotions are driving you right now. Hence, you should ask others to tell you the pros and cons of your home. This can be a professional person, but don’t be afraid to ask your friends and family members either. You need to consider which option is best for you: one costs money and the other can be a bit painful. Last but not least, get ready to clean up. Your home has to be absolutely sparkling. This is the time to really get the elbow grease out and to get rid of clutter, which you need to do before you move anyway. You want your home to look like a show home by the time you’re done. Hence, you have to check the outside of the home, too. Clean your yard, mow the lawn, get rid of weeds and prune your trees and bushes. It is your property’s exterior that will create that important first impression. Only one opportunity is ever given to create a first impression. Hopefully, this information will have helped you make a quick sale at a good profit. Time is the most important thing you have to invest in your property in order to sell it at a high price. You need to invest time fixing minor issues in your home, but also to research the world of real estate. Knowing a little bit about real estate will help you out a lot in terms of selling your home for a good price. Let’s take a look at a few things that real estate professionals have demonstrated to influence sale prices positively in your favor. Start by working on the exterior of your property. This is what buyers will first see and what will give them their first impression. So, start by cleaning up your garden and give your bushes and trees a good pruning. Take a walk around your property yourself and see how much curb appeal it actually has. Luckily, you will generally not have to do anything other than a bit of cleaning and tidying. Now, you need to go check the inside of your property. Of course, you must make sure the whole house is clean and tidy. Also, do not be tempted to put up loads of air fresheners or scented candles. As much as you may enjoy the scents, other people may not feel the same. Additionally, it may make them think that you are hiding something. Next, you need to make sure you rid your home of clutter. No matter how important your pictures and nicknacks are, they mean nothing to others and they stop them from really seeing the potential of your home. In order to make your home look big, which is what any buyer wants, you have to get rid of as much stuff as you can from your walls, floors and shelves. A mirror is the one thing that is the exception here. If you hang a mirror, it will make the room look larger. To complicate matters, do make sure that you have at least one thing hanging on your walls so that your home doesn’t look hollow. It is about using your common sense and trying how certain things look and feel. Hopefully, the above information will have given you the knowledge you need to make a quick sale at a good price. Clearly, there is no need for you to invest a lot of your own money, nor do you have to become a real expert in anything. They are such simply things that only take a bit of common sense, but their impact is significant. All the best with selling your own home. For most people, their home is their largest asset. Hence, if you want to sell this asset, you have some important decisions to make. You have to make sure that you have an understanding of the property selling process first. There is a lot of information available online to help you learn these details. It is important you do so, as it will help you reduce the stress you may experience, have a degree of control over the process itself and ensure you get the best price. Hopefully, the information presented below will help you to get ready for a sale and get a good price. The next step, naturally, is to have the interior checked. Obviously, you have to make sure that the interior is clean and tidy as well. Also, do not be tempted to put up loads of air fresheners or scented candles. Although you may love these scents, other people may not agree. Additionally, it may make them think that you are hiding something. Next, you need to make sure you rid your home of clutter. You may love all your nicknacks and pictures but they stop potential buyers from really seeing your property. In order to make your home look big, which is what any buyer wants, you have to get rid of as much stuff as you can from your walls, floors and shelves. A mirror is the one thing that is the exception here. Mirrors create a false sense of size, making your home look bigger. To complicate matters, do make sure that you have at least one thing hanging on your walls so that your home doesn’t look hollow. It is about using your common sense and trying how certain things look and feel. Lastly, you have to get all your cleaning gear out. Scrub like you have never scrubbed before. The elbow grease is going to have to come out, and it is also a great opportunity to start to get rid of the clutter in preparation for your own move. You need to transform your home into a show home. This means you need to look at the outside of the home as well. You have to make sure that your yard is clean and tidy, that your lawn is mowed and free from weeds and that your trees and bushes are pruned properly. Remember that the outside of your home is what will create the first impression. And don’t forget that you only get one chance to make that first impression. Hopefully, this information will have helped you make a quick sale at a good profit.